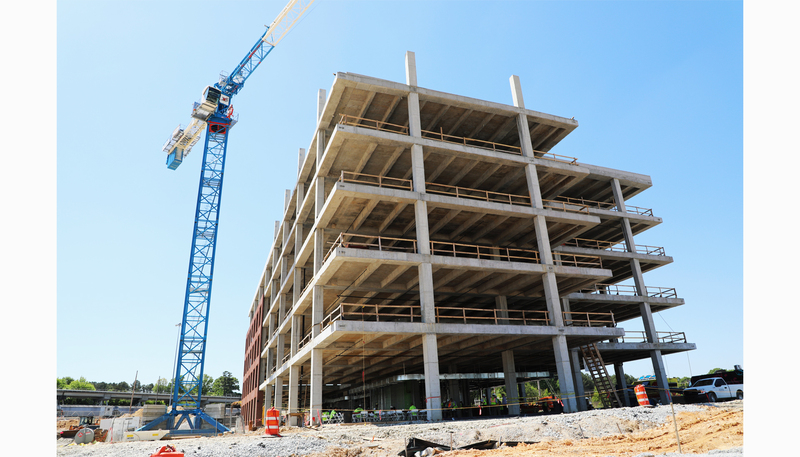 DPR recently celebrated the placement of the last structural beam for the new Serta Simmons Bedding headquarters in Atlanta, which city leaders hope will jump-start a rebirth of the Doraville area once it’s complete in early 2019. The project consists of a 145,000-sq.-ft., 5-story office, 70,000-sq.-ft. manufacturing/showroom facility and a 500-space, 3-level precast parking deck. 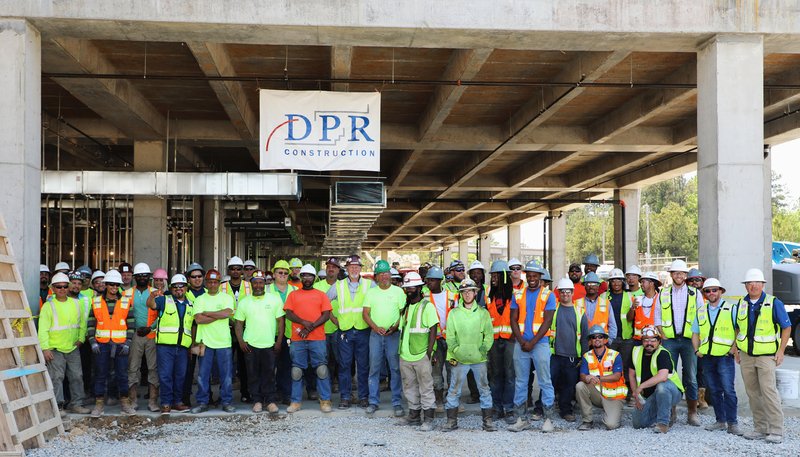 Self-performing work gives DPR the ability to offer greater control and set the tone and pace for projects. This project resulted in the largest self-perform concrete undertaking to date for DPR’s southeast team. Serta, the nation's largest mattress company, is combining all company locations into the new 5-acre site as part of the redevelopment of the 165-acre Doraville General Motors plant, renamed Assembly. The area has been mostly vacant since the factory closed in 2008. 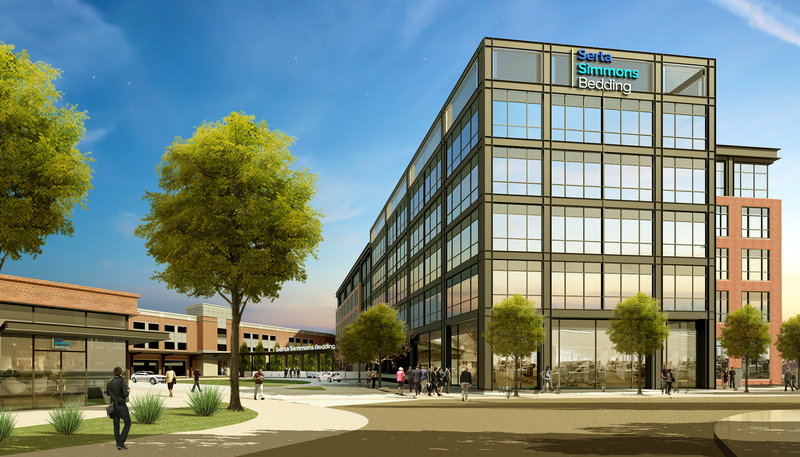 According to the Atlanta Business Chronicle, the new campus will house 500 employees for Serta Simmons Bedding and its two leading brands, Serta and Beautyrest, starting in early 2019. About 380 of the jobs at the Serta Simmons HQ are already in the Atlanta area, with another 120 Illinois-based employees being offered positions at the company’s new location. Holder Properties is the developer for Serta’s new headquarters and Rule Joy Trammell + Rubio LLC is the building’s architect. Coordination has required the project team to collaborate with multiple agencies including the City of Doraville, the Metropolitan Atlanta Rapid Transit Authority, and the Federal Aviation Administration. Once complete, Assembly Yards will encompass 10 million square feet of multifamily housing, creative office space, restaurants, retail, and entertainment, including the purpose-built film studio Third Rail Studios which was completed in the first phase of redevelopment.